This chair is ideal for multiple uses but is best suited for inside use. You can choose to have an upholstered seat or to have it in natural finishes. A comprehensive section in contract wooden dining chairs to suit restaurant, coffee bar and café applications. 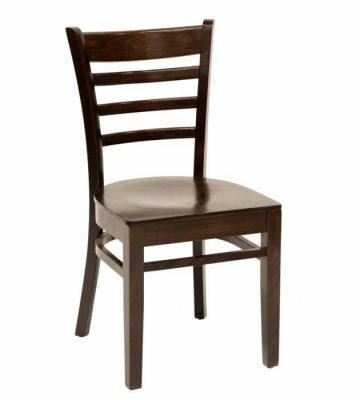 Our range of high quality dining chairs are suitable for commercial and contract use and are constructed from a high quality wooden frame. 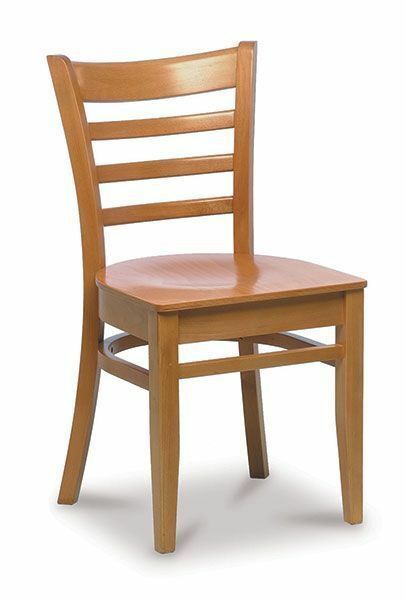 The Devon dining chair is available both as a side dining chair and as a carver dining chair with arms. Available in a plywood seat or a solid seat option we offer this chair and many other with the option of 16 wood stains. The Devon dining chair is also held in stock in Wenge, Cherry or Walnut. As with the Hampshire dining chair, the Devon dining chair is available with or without an upholstered seat in Faux Leather, Draylon or Faux suede options. Traditional contract dining chairs also include the stylish Arcadia dining chair with its sculptured fluted back. The Jacob dining chair with its distinctive hole in the back is a more contemporary style and is a firm favourite with coffee bars on the high street. The tall sculptured ladder back of the modern Miami dining chairs and the comprehensive fabric options for the seat give this dining chair a real designer feel. The Burbank dining chair is seen in many restaurants and similar establishments. We offer the Burbank dining chair in fully upholstered and without upholstery on a turn around of only 7-10 working days. Another contemporary contract dining chair the Daytona has a back that just consists of the frame. 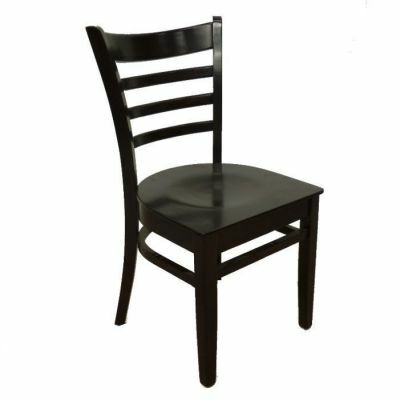 Contract dining chairs are on our web site at fanatic value for money and can be discounted subject to quantity. All our dining chairs in this range are delivered assembled and ready to use. Please contact us for further information on our exciting ranges of contract dining room chairs.